Neponset (IL), United States – The ability to maintain the proper force required to keep the edge of a belt cleaner blade against the belt is a key factor in the performance of any cleaning system. 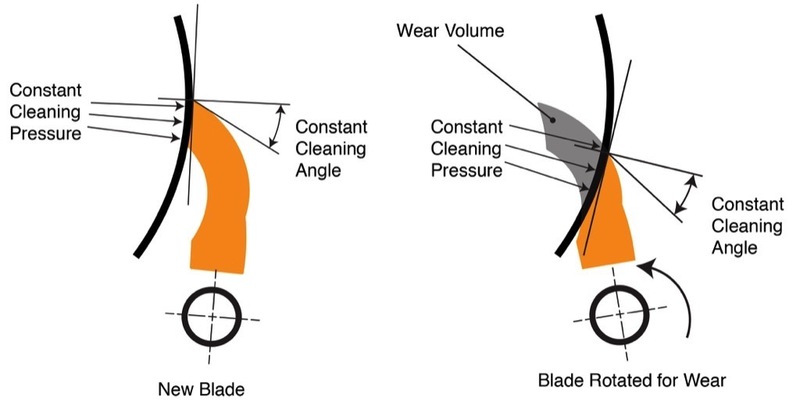 Blade-to-belt pressure must be controlled to achieve optimal cleaning with a minimal rate of blade wear. 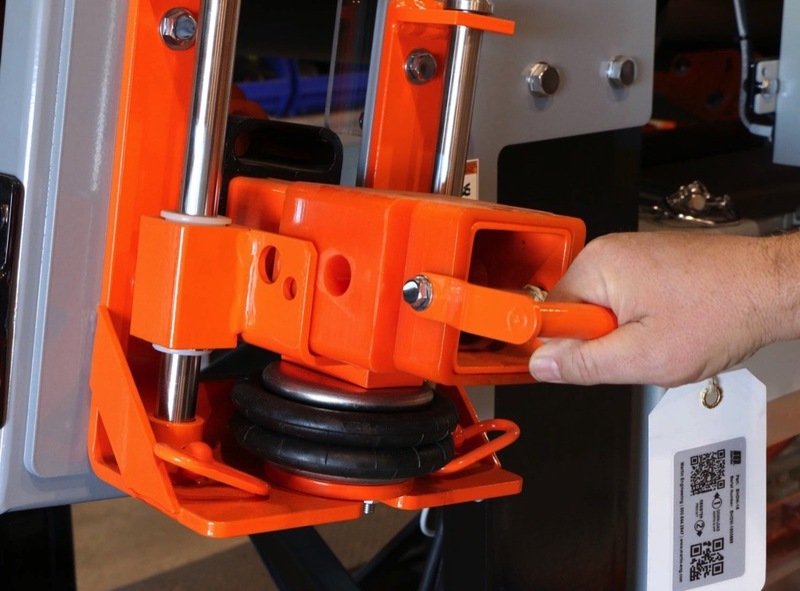 A belt cleaner that is properly installed and adjusted as described in this Martin Engineering article helps to minimize carryback and spillage, reducing risk and overall operating costs. The buildup of fugitive material can occur with surprising speed. As the table below illustrates, spillage in an amount equal to just one sugar packet (about 4 grams) per hour will result in an accumulation of about 700 grams (1.5 pounds) at the end of a week. If the rate of escape is 4 grams per minute, the accumulation will be more than 45 kg (nearly 100 pounds) per week, or more than two tons per year. 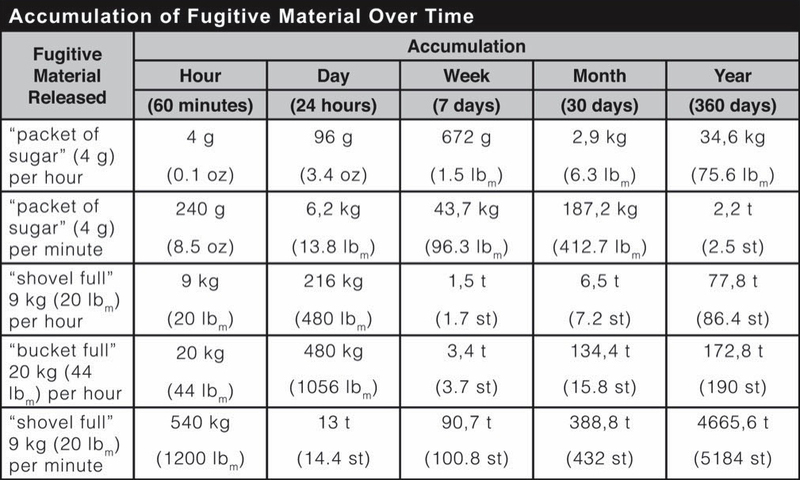 If the spillage amounts to just one shovelful per hour (not an uncommon occurrence in some operations), personnel can expect to have to deal with more than 225 kg (nearly 500 pounds) of fugitive material every day. 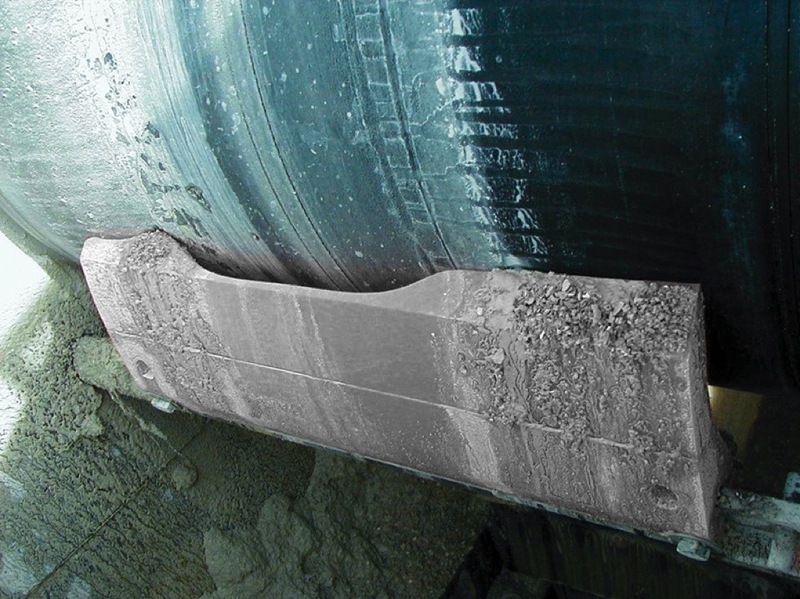 Although there are a number of belt cleaning technologies available to conveyor operators, most designs in use today are blade-type units of some kind, using a urethane or metal-tipped scraper to remove material from the belt’s surface. These devices typically require an energy source – such as a spring, a compressed air reservoir or a twisted elastomeric element – to hold the cleaning edge against the belt. Because the blade directly contacts the belt, it is subject to abrasive wear and must be regularly adjusted and periodically replaced to maintain effective cleaning performance. The ability to maintain the proper force required to keep the blade edge against the belt is a key factor in the performance of any cleaning system. Blade-to-belt pressure must be controlled to achieve optimal cleaning with a minimal rate of blade wear. There is a popular misconception that the harder the cleaner is pressing against the belt, the better it will clean. But research has shown that there is actually an optimum range of blade pressure, which will most effectively remove carryback material. Increasing tension beyond this range raises blade-to-belt friction, thus shortening blade life, increasing belt wear and increasing power consumption — without improving cleaning performance. A common source of blade wear that often goes unnoticed – even with a properly installed and adjusted cleaner – is running the belt empty for long periods of time. Small particles embedded in the empty belt’s surface can create an effect like sand paper, increasing the wear rate of both the blade and the belt. Even though the cargo may be abrasive, it often has moisture in it that serves as a lubricant and coolant. As the center of the blade wears, it allows material to pass inside the tip; the outer edges will be held away from the material and so do not wear. New air-powered tensioning systems are automated for precise monitoring and tensioning throughout all stages of blade life, reducing the labor typically required to maintain optimum blade pressure and extending the service life of both the belt and the cleaner. Sensors detect whether the belt is loaded, automatically relieving tension when the conveyor is empty to help minimize wear. Equipped with sensors to confirm that the belt is loaded and running, the devices automatically back the blade away during stoppages or when the conveyor is running empty, minimizing unnecessary wear to both the belt and cleaner. The result is consistently correct blade tension, with reduced power demand on start-up, all managed without operator intervention. 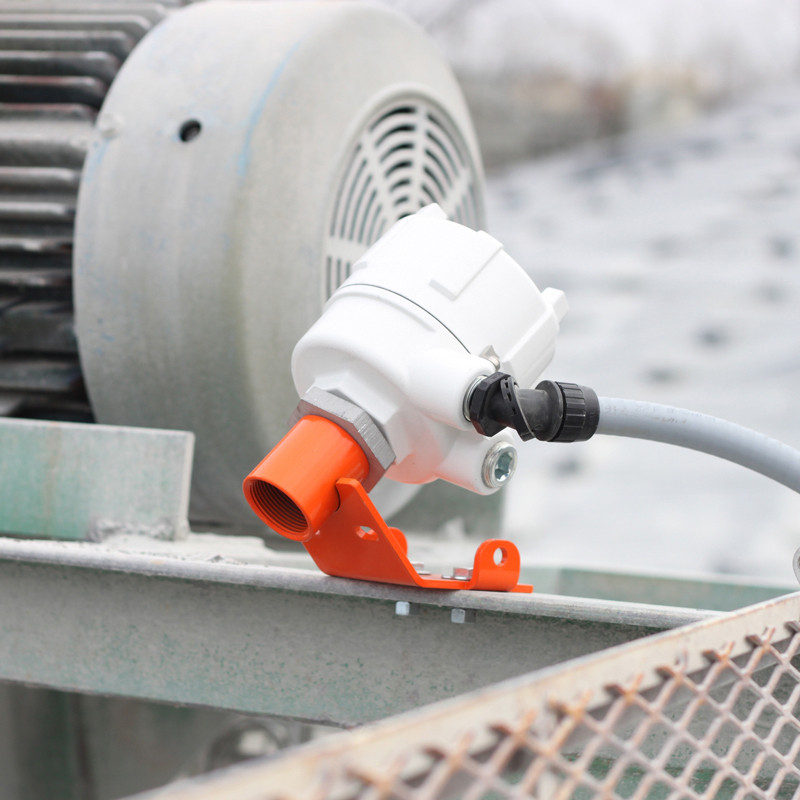 For locations lacking convenient power access, one self-contained design uses the moving conveyor to generate its own electricity, which powers a small air compressor to maintain optimum blade pressure at all times. Simple Maintenance: with a slide-out design the blade cartridge can be accessed safely and replaced by a single worker.